Located on Vivante Boulevard, at the west end of Marion Avenue (2450 Marion Ave, Punta Gorda, FL 33950) and Punta Gorda Isles. Bella Lago is a newer, waterfront complex of luxury condos near Charlotte Harbor. While Bella Lago at Vivante is situated along Charlotte harbor and many units have spectacular views of Charlotte Harbor, Bella Lago is not a boating community and there are no boat docks. These pet friendly units are available in 2 or 3 bedroom units, some with well over 2,000 square feet of living area. With 24 hour gated security and all the expected amenities of a high end complex, Bella Lago at Vivante should be high on anyone’s list. Vivante is a Mediterranean style condo community and has a 12,000 s/f club house that includes a media room, billiards room, sauna and theatre. Also included is a fitness center, infinity pool and clay tennis courts. Vivante does not permit RV’s and restricts leasing to 3 months minimum. 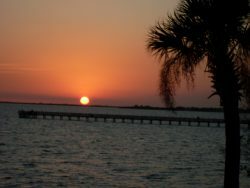 Many of the condos in Vivante have panoramic views of Charlotte Harbor with priceless sunsets. This complex is truly luxurious. Bella Lago at Vivante is at the western end of Marion Ave and only a short distance from Ponce de Leon Park. The park is an easy bike ride or stroll from the condos. Ponce de Leon park has boat ramps, a seawall where one can relax and watch boats and birds on Charlotte Harbor and is also home to Peace River Wildlife Center. If you have interest in property in Punta Gorda, Florida, please contact Your Suncoasteam at 941-235-7474 or sales@suncoasteam.com.